Powerful hurricanes leave a lasting legacy, and in Puerto Rico humans are not the only ones devastated by storms such as last year’s Hurricane Maria. UConn professor of ecology and evolutionary biology Michael Willig is part of an international team that has spent the past 30 years studying elements of the ecosystem in hurricane-prone Puerto Rico, and how that ecosystem responds to weather-driven disturbances. The team’s study is part of a National Science Foundation program called Long-Term Ecological Research (LTER). Each summer over the past few decades, members of the team have traveled to the study site to run experiments and make observations. Some summers have followed a quiet year weather-wise, and in other years the ecosystem has been in ‘recovery mode’ following a storm or drought. During the study, Willig has documented population data and number of species for invertebrates, such as snails. 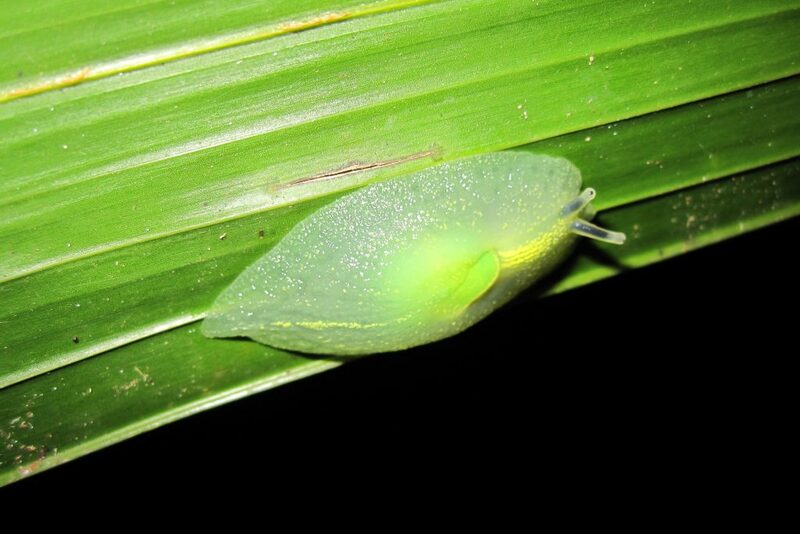 While he has noticed decreases in snail populations after hurricanes over the years, nothing was as striking as the drop in numbers after Maria hit. When the researchers compared recently collected data to those collected after Hurricane Georges in 1998, they found a 60 per cent decrease in the total snail population caused by Maria – a 20 per cent larger decrease than after Georges. Among many other questions the researchers are seeking to answer, how will already rare snail populations recover after being heavily reduced by Hurricane Maria? 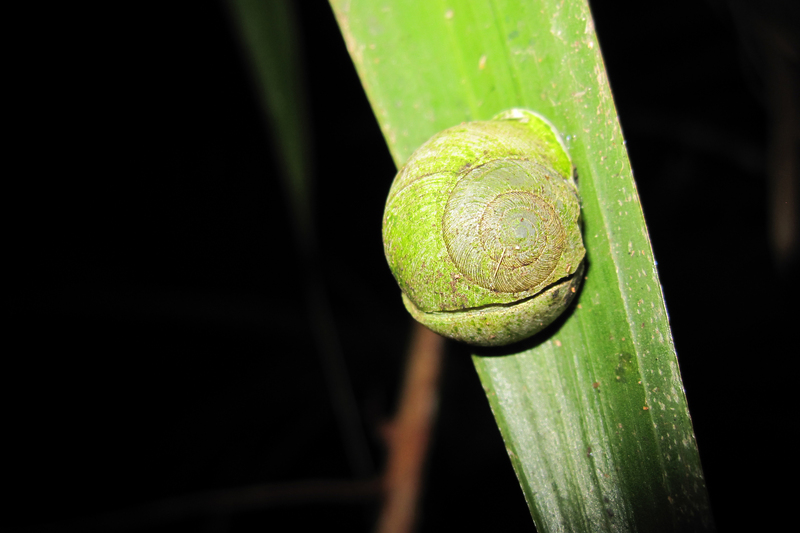 And if snails are impacted so severely by these storms, what does this mean for the rest of the ecosystem? This precipitous decrease and the ability to compare data over such a long period of time illustrates the importance of long-term studies like Willig’s. Imagine that an ecosystem is like a movie. Watching five minutes of a movie may give the viewer a good idea of what is happening but not a full understanding of the story or characters. Willig uses this analogy to underpin the significance of long-term ecological research. 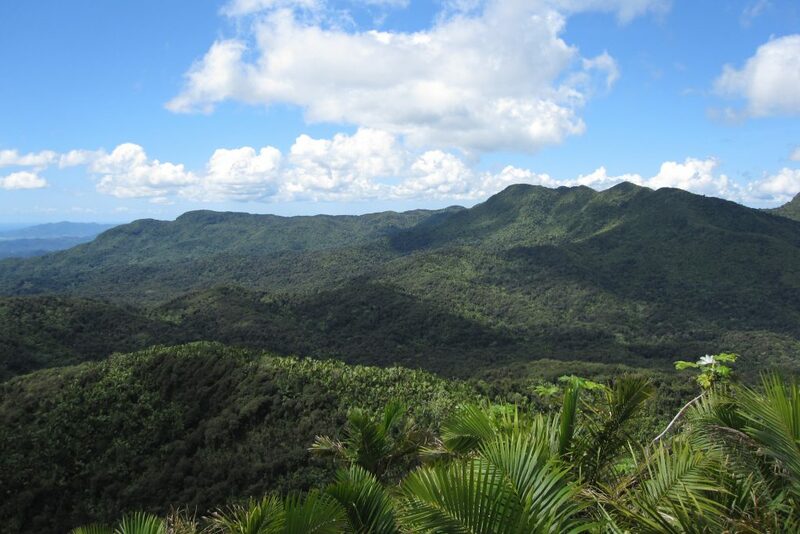 The aim of the LTER Program is to study species interactions and ecosystem processes over time in the rain forests in the Luquillo Mountains of Puerto Rico. In keeping with the analogy, storm-generated disturbances are like “plot twists” – radical changes in the direction or expected outcome of the plot – that drive species interactions over time. Willig says species on Caribbean islands such as Puerto Rico have evolved to cope with hurricanes. Historically, one major storm would make landfall in the forest every 30 years or so. Yet these plot twists are becoming more frequent and more intense. When the team first started studies at this site, it hadn’t experienced a major hurricane in more than 30 years. The first they witnessed was Hugo in 1989, and in the 30 years since then, there have been four major hurricanes. 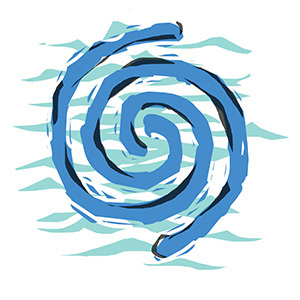 Part of the research for the LTER Program involves studying biotic responses to increasingly challenging disturbances, and trying to understand how the biota will respond if climatic predictions are correct and the frequency of very intense hurricanes increases and the instances of extended droughts increase as well. How will the story hold up if, as in the case of the snails, 60 percent of the characters are removed? 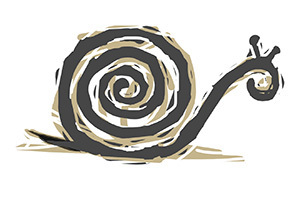 Snails are among the species that play a critical role in the recovery process after a major disturbance. Along with some frog and other gastropod (slug or snail) species, they proliferate in the debris ripped from trees that settles on the forest floor following a storm. While frogs take refuge and breed in the debris, the gastropods clear the detritus and enhance the recycling of critical nutrients. Both species flourish in the destruction caused by a hurricane. But once the debris clears, their numbers decline, and other species become important. If the data were only collected at isolated points in time, this ebb and flow would be missed. How the forest will continue to cope if the hurricanes disrupt the area more frequently is a question that will only be answered with time – and long-term research. Throughout history, humans have used legends and stories to explain phenomena around them, especially those that affect their lives and well-being. Such legends can reflect important insights, even as society relies more and more on scientific approaches to unravel complex ecological phenomena. 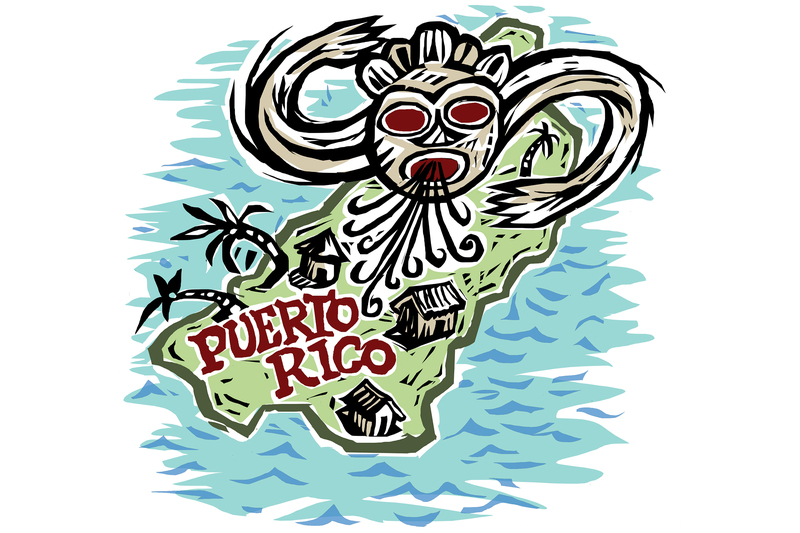 The indigenous people of the West Indies, the Taino, have a story to explain the frequent hurricanes in the region. According to the legend, the mother and creator, Atabei, had two sons named Yucajú and Guacar. Yucajú created the sun, moon, plants, and animals to live upon the fertile Earth. He also created the first man, named Locuo. Locuo was very happy with all that Yucajú provided him and gave him thanks. But Guacar grew envious, and in his jealousy, Guacar changed his name to Juricán and became an evil god. Juricán attempted to demolish all that Yucajú created, with damaging winds leaving a trail of death and destruction. 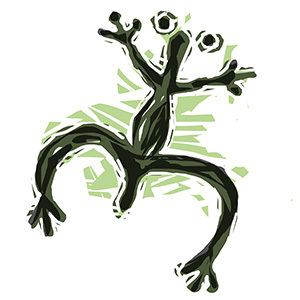 Juricán’s actions left Locuo fearful of further ruin, and he was no longer able to enjoy all that Yucajú had created. The multidisciplinary team, which over the years has included around 40 UConn students, includes five principal investigators from different institutions, including most recently the University of Puerto Rico (Jess Zimmerman and Nick Brokaw), the University of California, Berkeley (Whendee Silver), the International Institute of Tropical Forestry (Grizelle Gonzalez), and UConn (Michael Willig). Current research is supported by a grant from the National Science Foundation (# DEB-1546686). The project will soon be in its sixth round of funding.